Behold! 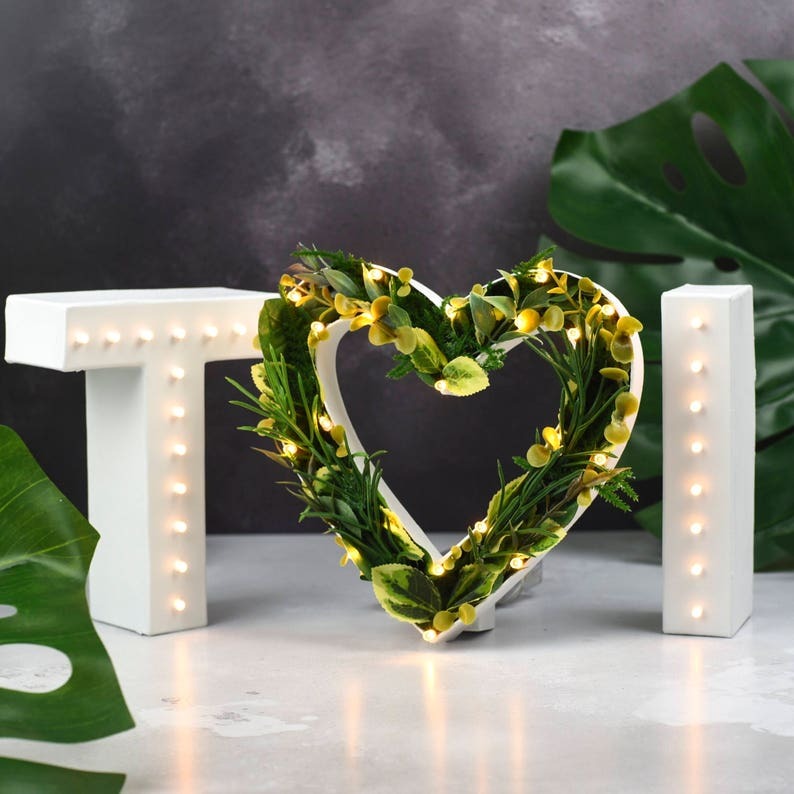 A beautiful set of handmade marquee lights with a light up foliage heart, perfect for engagements, weddings or home decor. Brand new for 2017, we're excited to launch our new 'Greenery' light collection, this botanical twist on our best seller. The price is for 3 lights - the 2 initials and the heart. They are individually powered by 3xAA battery operated warm white LEDs (up to 20 per light) and have that all important clear wire meaning that the flex to the battery pack is nice and discreet and won't look unsightly in your wedding photos and as the lights are separate you can arrange them as you prefer. The letters measure approx 17.5cm tall, with the width varying per character. The heart is roughly 20cm tall. To order, simply choose your letter base colour above. When checking out, please add your initials to the 'notes' section. Don't worry if you forget, I'll check over the details to ensure I've got everything I need before starting your order.